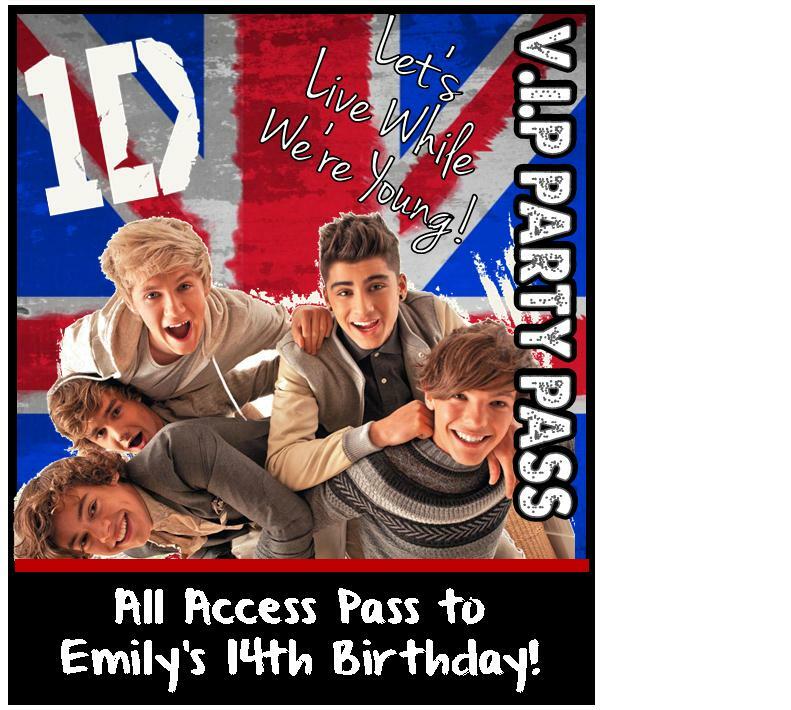 Top One Direction Party Games, Ideas, and Personalized Party Supplies! 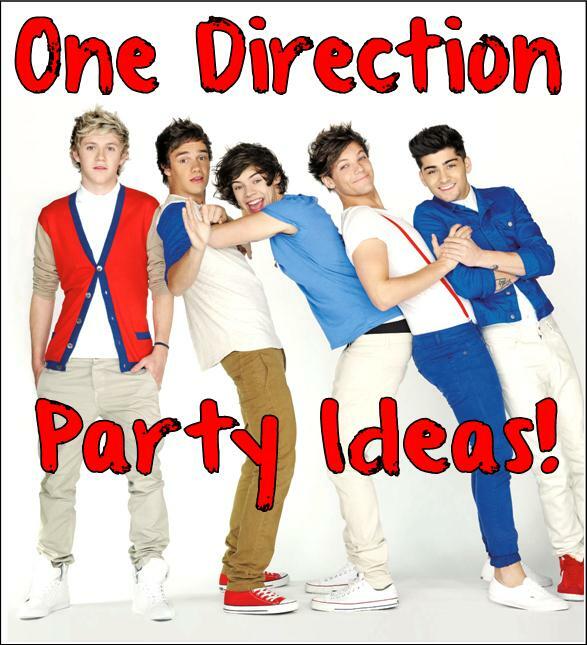 One Direction Party Games, Ideas, and Supplies! 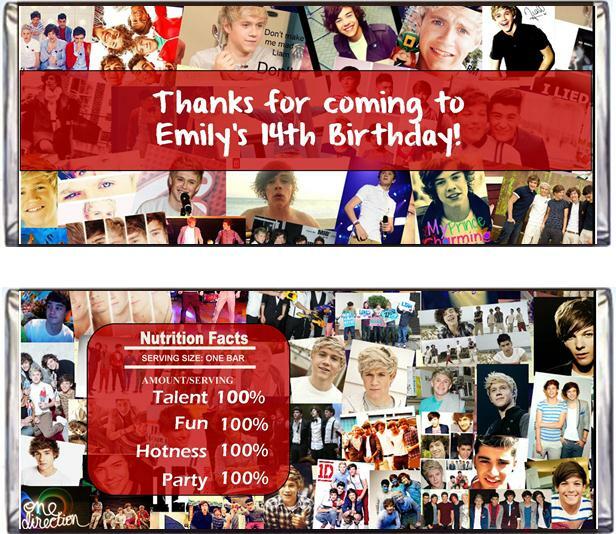 If you are looking One Direction party games, supplies, and ideas there is one direction you should go….below you will find tons of do it yourself 1D party ideas and games. 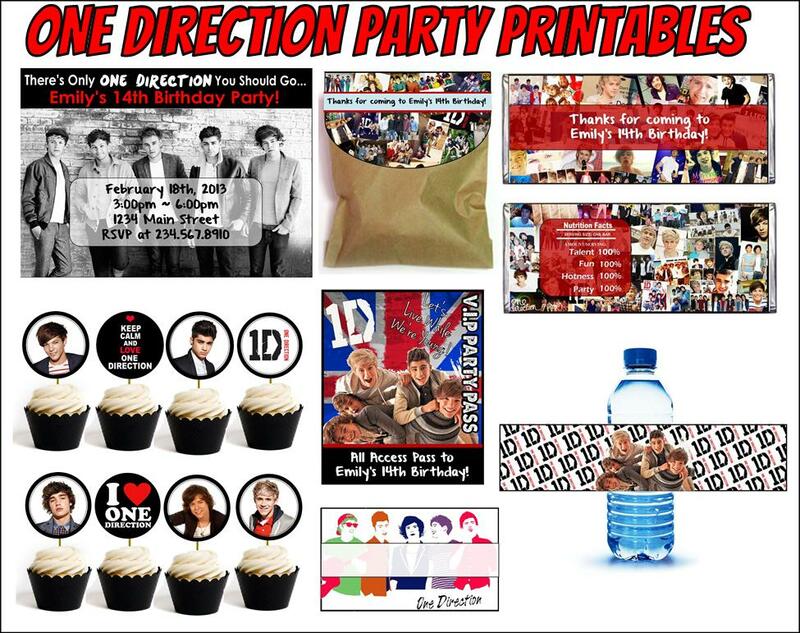 PLUS you'll want to check out our personalized 1D party supplies which include printable invitations, favor wrappers, cupcake toppers, labels, and more are available for INSTANT DOWNLOAD! For this game you will need a print out of all of the band members eyes close up. Label each pair of eyes 1-5. Guests must guess whose eyes belong to which member. You can also play whose lips are whose the same way. This is a great game that guest can play when they first arrive to get them in the mood while you await everyone’s arrival. Who knows the most about the band? Find out with an all out trivia contest. You can play in teams or as individuals. You can play by asking simple questions and whatever team answers first gets the point or you can get more creative and create different categories for the questions and play jeopardy style. You can get tons of trivia questions from the internet. Try fanpop for a fan based list. For this game you will need to write lines of lyrics on individual note cards, leaving out a few words (or phrases if it’s longer). Make sure you have plenty. Fold each notecard in half and insert each into its own balloon. Blow up the balloons and your ready to play. 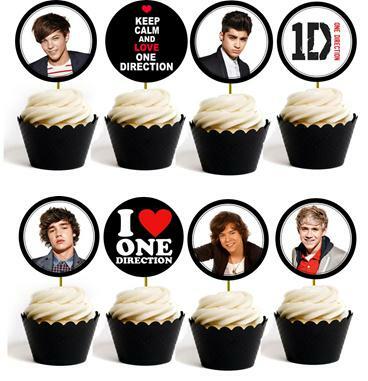 Now play some One Direction music while the guests are dancing the bop around one of the balloons. Stop the music randomly and the last person who touched the balloon must pop it. The then have ten seconds to fill in the missing lyrics or they are out. Start a new round with a new balloon and play until one player remains. They are crowned the Lyric Queen! 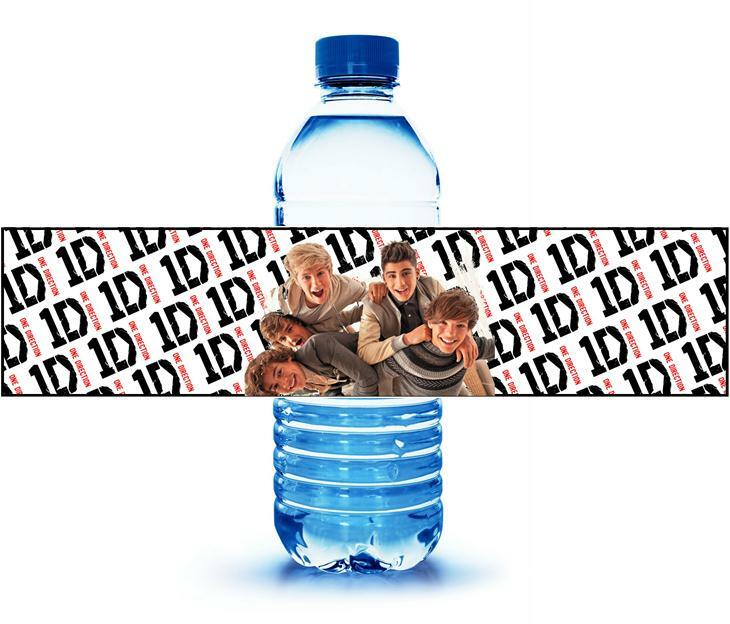 For this game you will need two posters of One direction. If you are on a tight budget you can print two identical 1D pics from the computer. Glue each pic onto a posterboard. Once dry cut both pics into a equal number of squares (about 16 or 20) . Divide the players into two teams. Play some inspirational 1D music while they work. First team to put their mixed up pic back together wins! Ok, for this game you will need a poster of your favorite band member. Hang it up on the wall and have all the players lather their lips up with lipstick. Now blindfold each player one at a time, spin them around three times and face them toward the poster. They must try and leave a kiss mark on the lips in the poster without peeking. Place initials next to each pair of lips when they are done. The lip print closest to to posters lips win! Of course One Direction is all about the music. Make sure you have it featured during your party. 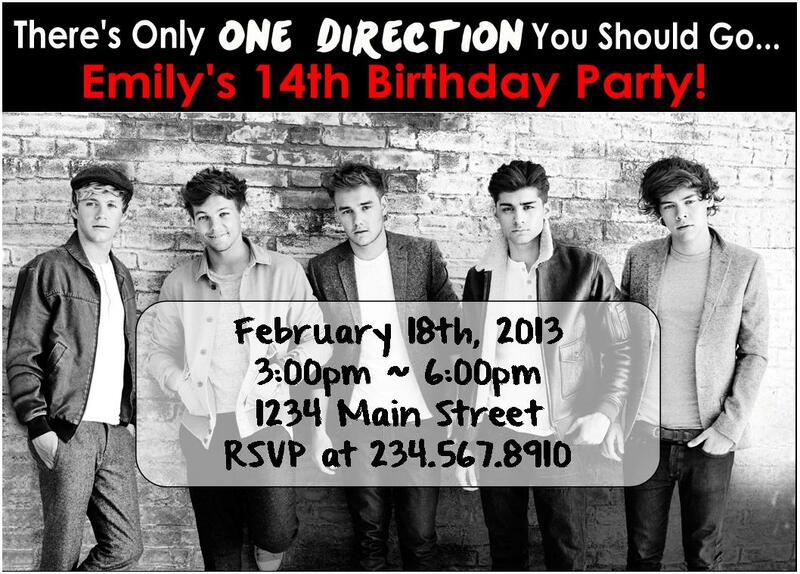 Pull out the Karaoke machine and have everyone sing their favorite 1D song. Get creative and divide into teams and have players act out the songs or create their own music video. Have a non partial judge vote for the best. Write short one word (or just a few) on individual notecards. Create about 5 for each band member. Example “IRISH” for Niall, or “TAYLOR SWIFT” for Harry. 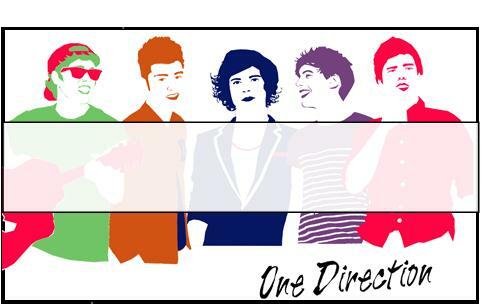 You will also need to either print out a pic of each band member ( budget tight: write their name on a card as well) . Now have players take turns putting each card under the correct face as fast as they can. Player who does it in the least amount of time wins! 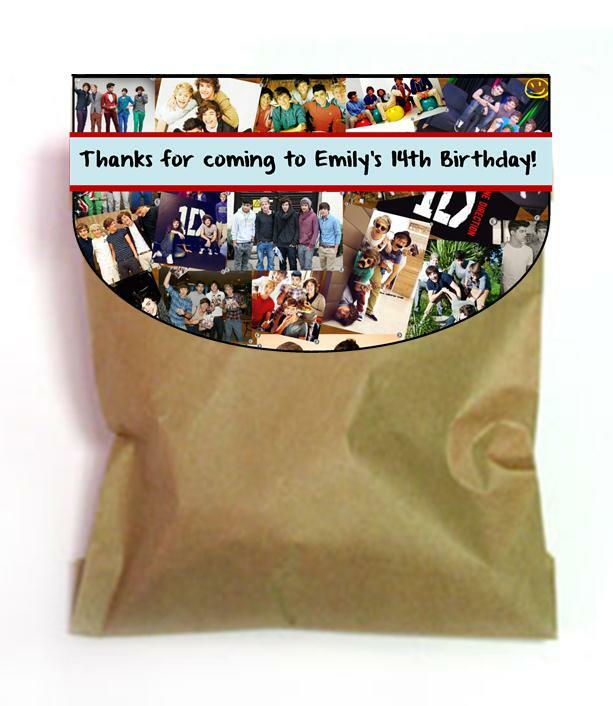 This printable One Direction party supplies kit comes with everything you need to theme up your party. Tent cards you can edit yourself to fit your menu or needs.